The BBC has just broadcast an edition of Horizon called Diagnosis on Demand, the computer will see you now. It looked at AI in the healthcare sector and focused on London based Babylon and it’s GP at Hand service for NHS patients. Babylon is building an AI diagnosis tool that could replace a GP. For now, they use it as a chatbot as a symptom checker and then a video call with a doctor. In the program we heard from Babylon, people from within the NHS and a Babylon user. Babylon has been building their AI platform for two years and as with most software they are going through a cycle of releases and iterations. But they have been reluctant to have independent verification of their work and it’s results. Earlier in the year, the announced that their AI had been through testing and now was as good as a GP at making a diagnosis. This test has been heavily disputed as it wasn’t independent. Babylon clearly wanted to manage the risk on this first very public test but if it wants credibility and acceptance it will need to be more open and carry out independent tests. And this is where the world of tech butts heads with the NHS. The tech world isn’t transparent, everything is a closely guarded secret. Investors want to protect their returns and entrepreneurs want to keep competitors away from what often is just very small differentiators. 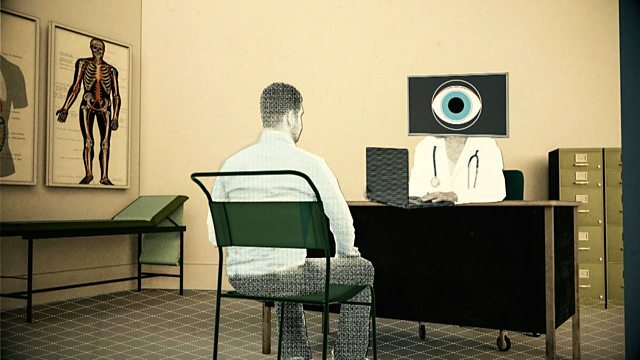 The NHS wants transparency, and not just to review the tech, many distrust the very idea of anything replacing their long-established procedures and even their jobs. But there must be a middle ground. If private companies want access to public money, which is what the NHS is, then it needs to treat the NHS as not just a customer or partner but also as an investor. Within the UK it by far their biggest market and globally a rubber stamp from it would open many doors. But the NHS needs to rethink its position too. They run on XP, they are the world’s largest customer for fax machines and they have the world’s largest remaining contract for pagers. They are 15-20 years behind with much of its technology. Pagers in the age of smartphones. Faxed copies of prescriptions being sent to pharmacies. There is a need to embrace new technologies to reduce cost and provide better patient outcomes. Some NHS Trusts are trying to build out new digital services themselves, such as the South London and Maudsley NHS Trust but they are not experts in technology any more than Babylon are experts in healthcare. . There is a good argument that says that services like Babylon create an imbalance as they are likely to attract the young and well rather than the older, more ill patients leaving the costly care to traditional GP surgeries. But using such technology to augment their practice would mean GPS could deliver 24/7 care to more patients and spend valuable time with really ill but only if adopted across the NHS rather than creating a silo of fit and well and leaving the ill for others. Looking at the example of the Babylon patient shown on the program last night he was diagnosed within minutes for Bell’s Palsy, which would normally be a trip to A&E because of its stroke-like symptoms. A trip to A&E for something like this costs the NHS £124. Using Babylon this was saved and the costs covered out of the £146 per patient per year that Babylon and other GP surgeries receive. The Babylon patient shown in the documentary wasn’t young, he was 49 and he had used the resources of the service a lot since joining in December 2017. The patient had video calls with doctors 5 times mainly outside of normal GP hours such as on a Sunday and was referred to a face to face appointment with a Babylon doctor at a surgery in east London and ultimately hospital appointment for a suspect mole. I know this because I am that patient and was filmed earlier in the year for the documentary. What they didn’t include were my comments about where I thought this technology would go and what I thought was needed to protect patients. To me, such technology is obviously going to have a part in the healthcare provision of the UK. And it could bring doctors in reach of millions of people globally who currently have no access to medical professionals. It does need to be tested and it does need to be regulated. But it shouldn’t be stifled because it doesn’t fit in with the existing process and procedures. Many of those have been in place for 50 years or more. They need to be updated. The resistance of the medical professionals isn’t only about patient outcomes but about their own interests. The NHS has been opened up to the market already with providers like Virgin running parts that patients presume are still run by the NHS. Large pharmaceutical companies charge the NHS millions every year. Bringing in new technology shouldn’t be seen as a threat but it should be cautiously welcomed. And caution is very much needed as the priorities of the businesses and the healthcare professional are not aligned but to resist their introduction could mean patients getting a poorer quality of service than would otherwise be available to them. Would I trust AI over a consultant? Probably not yet. Would I like AI to give a second opinion, yes. Would I like a doctor to have the latest best practice at their fingertips (which typically takes 7 years to reach GPs) of course I would. We need to embrace the new healthcare technologies but treat them just like the drug companies, let them prove their benefits in independent trials. But let’s not take 10 years discussing this. Let’s get it happening now.